Like any building component, roofs degrade at different rates depending on a large number of factors: The quality of original construction, the level of abuse, weather, the level of maintenance, appropriateness of design, material used, etc. So how long should a roof last? A poorly installed roof may show signs of failure on the first rain. 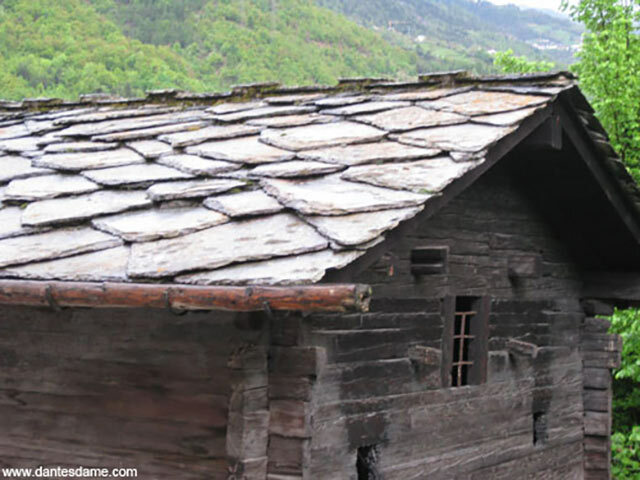 There are also well-crafted roof systems that use durable materials and, if well-maintained, have lasted decade upon decade (for example, some of the natural slate roofs found in the Swiss Alps have lasted over 100 years *see picture). Most building owners, roofing contractors and designers feel 25-30 years is an acceptable service life.